Kelly's Korner: Those of us who can't grow it - buy it! Those of us who can't grow it - buy it! 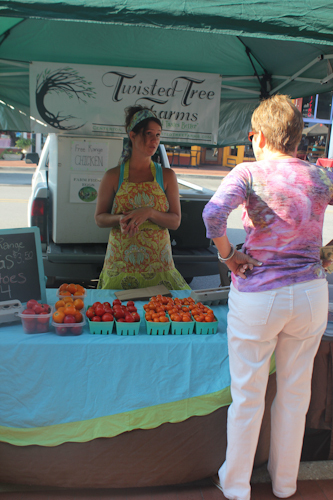 I was asked recently to visit the Farmer's Market in our town and write a story about it to help promote it. 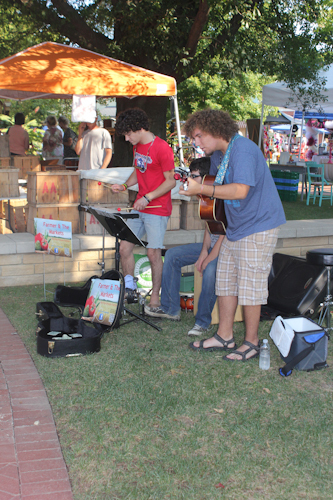 I gladly did it because I love my town and I LOVE LOVE LOVE the Farmer's market. 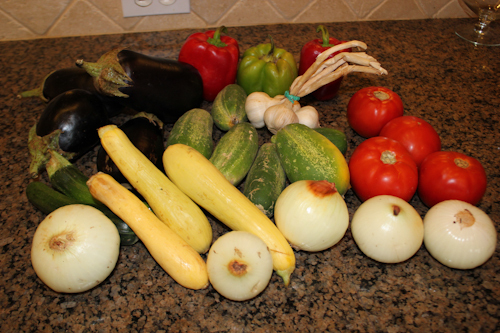 I know a lot of you are those super humans who sew your own clothes and grow gardens and homeschool and blog.........but for people like me who barely cook dinner and struggle just to keep laundry under control.......I like to buy vegetables from those who CAN grow them. ha! Seriously - our little town farmer's market is my happy place. It's on our square and is just the neatest place. 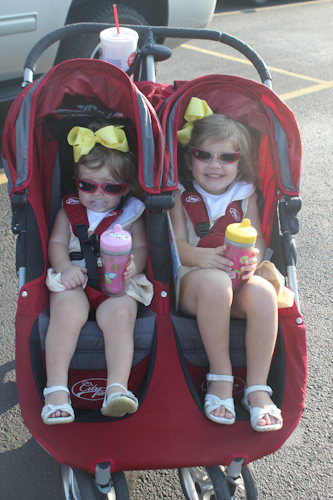 I haven't gone as much as I'd like this summer because it's so hot and my girls are not good at riding in the stroller but we enjoyed it this week. 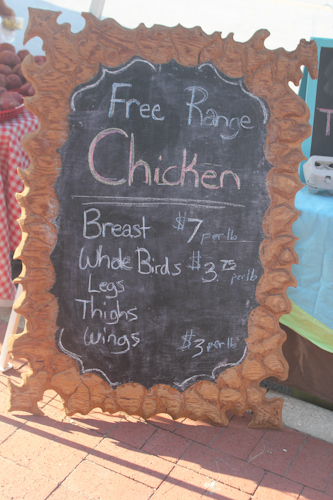 They sell all kinds of vegetables and fruits and crafts and you can also buy chicken, pork, beef and lamb! 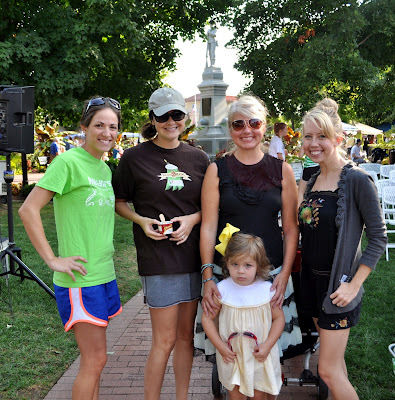 I always say my town is totally like Stars Hollow (what show? :-)) and this is the peak of that - this little band playing during the market. Love! 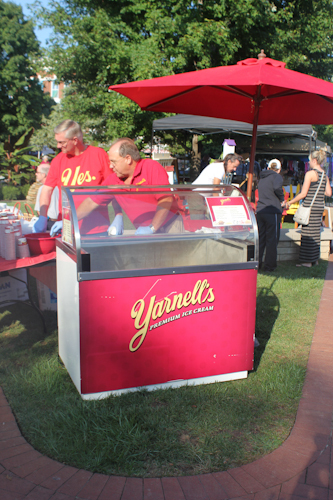 Arkansas based Yarnell's Ice Cream recently closed but they are now BACK in business and we are so happy! 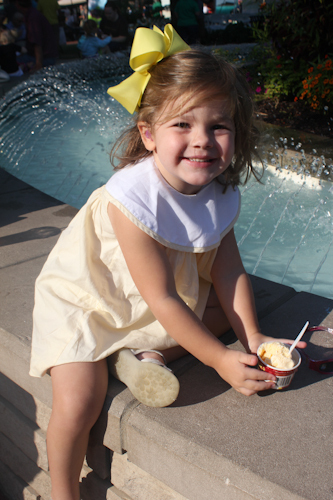 They were giving out free ice cream on Saturday! I know two little girls who were SOOO excited about that! 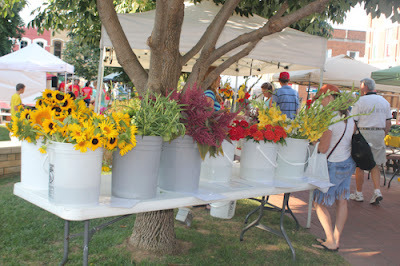 I love all the fresh flowers you can get! 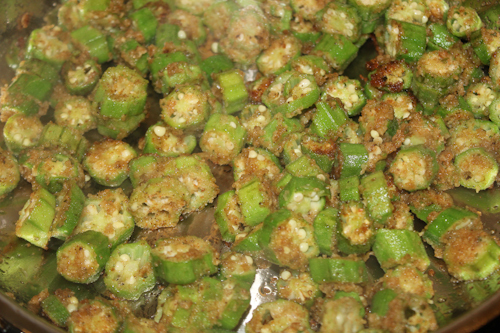 I got a lot of my favorite vegetable - okra! I made a lighter version of friend okra. I just toss it with a little olive oil, bread crumbs and zatarains. It was so yummy! Some of the vegetables I got. I also bought homemade bread and cookies! We were challenged to check out the James Beard Foundation and make a recipe from them. I made Ratatouille. I had no idea what that was beyond the movie that Harper likes to watch. I had also never eaten or cooked eggplant before but this was really good! The recipe is HERE. 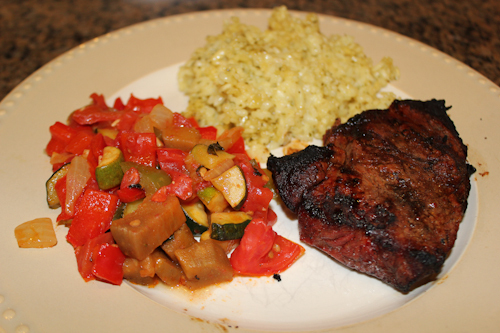 I had some sirloin steaks and risotto to eat with our ratatouille tonight and it was delicious! 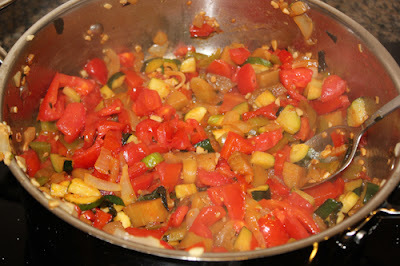 I love cooking with fresh vegetables. I'm inspired to find more healthy recipes to try out. I am a member of the Collective Bias™ Social Fabric® Community. This shop has been compensated as part of a social shopper insights study for Collective Bias™ and Downtown Bentonville, Inc. #bvfoodie #CBias #SocialFabric. All opinions are my own.